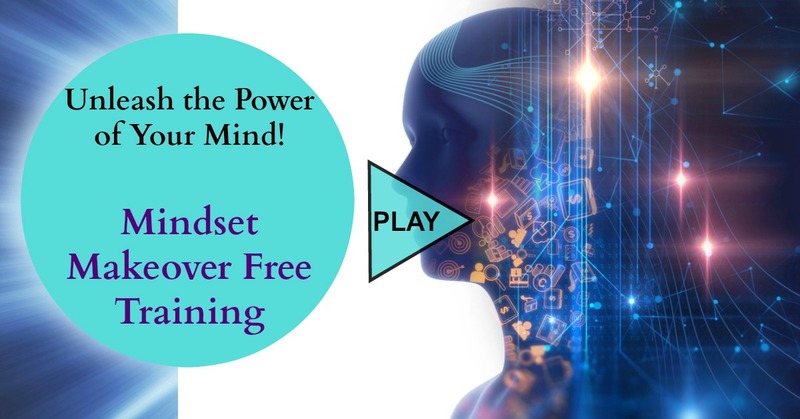 This is a free introductory training and recommended prerequisite for the Mindset Makeover 10 Day Challange Self-Coaching Program. 3 practical techniques & 1 powerful guided meditation. During this free 90-minute training, you will receive 3 techniques you can apply today to begin to transform your mindset for success, abundance, confidence, or anything else you wish to focus on. I give you a structure and you fill in the blanks, personalizing a plan that will work for you! In addition, you will receive a 20-minute guided meditation, Your Ideal Future Self Meditation. This meditation will implant a subconscious blueprint that helps lead you to your future goals and desires. It is also paired with Binaural Beats for brain entrainment. These are specific tones found beneficial when trying to restructure subconscious thinking patterns. Everything will be sent to your email and you will have access to this training forever! This training is designed for anyone who wants something more out of life but doesn't know exactly how to accomplish this. If you want a better job, more fulfilling career, more abundance, a better relationship, more confidence, or to overcome negative thinking patterns, the techniques provided in this training will help you change your thinking and behavior patterns so you begin to automatically make decisions that lead to your goals. This will be further explained in the training, but simply the techniques and meditation help restructure subconscious (unconscious) thinking patterns that hold us back and keep us stuck. You will learn how to uncover your subconscious blocks and are given tools to change any pattern that holds you back from the life you desire. What is the subconscious and is there research behind this training? This will be addressed in the training. Do not worry if you don't know exactly what the subconscious is or how it works. Just know that it often functions without our conscious awareness and is responsible for the majority of our thoughts, actions, and decisions! Everything in this training and the Mindset Makeover 10 Day Challenge is backed by research. I touch on it in this training and provided various research studies in the 10 Day Challenge program. The research was taken from the fields of counseling psychology, social psychology, neuroscience, and several other fields. Everything will be cited with links to all findings for those interested. What is the Mindset Makeover 10 Day Challenge? This is a 10-day guided self-coaching program that helps you develop a personalized plan to transform your mindset. It is like the free training on steroids. It is a 10-day challenge but can be taken at a much slower pace, if it works better for you. You will receive 10-Days worth of lessons, guides, worksheets, and meditations to makeover your mindset. It is like having a life coach, but far less expensive and often more intense. For more information about the structure and details, go here. Do I need to go through the free training to enroll in the 10 Day Challenge? No. The free training is for those who want an introduction on subconscious/mindset retraining. Some will get enough information with the free training, but others need more intense, personalized support and this is why we offer the 10-Day Challenge. The training offers an overview, but the 10-Day Challenge goes into depth. Whether you enroll in one or both is completely up to you and your needs! Enroll in Free 90-Minute Training HERE!